On August 23, 2018, group of Georgian NGOs spread the statement about the ongoing processes in International Black Sea University (IBSU). As it became known, by the decision of Authorization Council of Higher Education Institution, on August 20, IBSU was entitled to the right to receive students for a year, even though by the same decision of the Authorization Council the International Black Sea University has been granted authorization for 6 years, and this part of the decision was based on the report of the group of experts, that worked in the university on April 24-27, and positively evaluated authorization standards of the university. "As a result of the study analysis and factual circumstances, a group of experts prepared a report on which the university meets the authorization standards: none of the seven standards (19 sub-standard) have been evaluated negatively." – is written in the statement of IBSU. However, the university is still not allowed to get new students this year, an official reason of this is financial problems, in particular, the tax penalty imposed in 2013 and the sequestered property that the university was obliged to avoid tax liabilities. The amount of the fine is now 700 000 GEL, and the legal dispute is still on its fairness, though Authorization Council did not take into consideration that fact. As it is said in the statement of NGOs Authorization Board is allowed to entitle university to the right to receive students for one year if institution partly doesn’t fit with authorization standards, and In the present case, the Council considered alleged violation of the standard of material, information and financial resources, the financial dispute with the state, but IBSU explains that the fact did not have any significant impact on the university, especially its study process. “University property is sequestrated because of the fine, but IBSU is ready is ready to cover a tax penalty if the court will decide it. Real Estate and other assets of the International Black University are more than GEL 700,000; Secondly, the decision made by the Authorization Council only reduces the revenue of the university (which will serve a variety of educational objectives) up to GEL 2 million this year. Besides, according to the authorization expert's report, the university's material and financial resources are in line with the requirements. It turns out that the Authorization Board ignores and casts a qualified assessment of its local and foreign experts. The irresponsible decision of the authorization council hinders the development of one of the most rated and internationally recognizable universities in Georgia, which has 23 years of successful academic work experience, is distinguished by graduates' high employment rates and cooperates with more than 60 universities in the world. Up to 2000 international and local students are currently studying in the university, there are 400 qualified staff members.” – is written in the statement of the IBSU. Are there any other circumstances that could influence the decision of the Authorization Council? Group of NGOs think, that this decision could be determined by the pressure coming from the Government of Turkey. 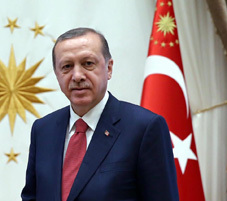 As it is known IBSU is the part of Caglar Education Institutions, and therefore is affiliated with the name of Fethullah Gulen – the person who is considered by the official Ankara as a chief organizer of the coup attempt in July 2016. On August 16, 2018, Ambassador of Turkey in Georgia Fatma Ceren Yazgan said regarding fighting against "Gulenists" Turkey is not satisfied with the steps taken by the Georgian side. "We should pay attention to those people who threaten our bilateral relations. Regrettably, our expectations regarding “FETO” by the Georgian government have not yet been fulfilled and we would like to take a serious step on this issue," said Ambassador. “FETO” is an organization that is affiliated with Fethullah Gulen and for official Ankara, it is a terrorist organization. The fact the Turkish government can influence the case of IBSU is not illogical, as in previous years other institutions from Caglar Education network were closed (Shaheen school in Batumi, Demirel school in Tbilisi) and also case of extradition of Mustafa Emre Cabuk (Manager of Demirel school) is directly linked with the demands from Turkish Government and personally the president of Turkey Recep Tayyip Erdogan.